Let me be your next on-camera talent. 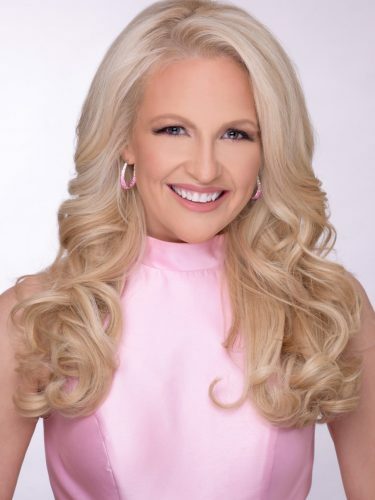 From Pageant Coaching to Dance and Modeling Instruction, Heather can help you with it all! Are you in need of an on-camera talent or TV host? Heather teaches private sessions for one-on-one instruction. Let me help you prepare for you next Pageant! Heather is passionate about her work as a TV host and actress. But most importantly, she loves to help people-especially those who have goals and dreams in their heart. Her pride and joy is her studio that she opened right outside of Pittsburgh, Pennsylvania. She specializes in private training for Modeling, Dance, and Pageant Contestants. She also provides training in etiquette, self-esteem development, interviewing, public speaking, and helping her students fulfill their dreams. "Heather Habura has served the Miss Clayland Scholarship Program with dedication, pride, and respect. She has served as Miss Clayland, emcee, and choreographer. She continues to offer support to our representatives and is more than willing to assist our contestants as they prepare for competition." "Miss Heather is a great dance teacher. I look forward to going to her classes. We learn new dances and techniques to become better dancers. She always has a smile and positive attitude. She motivates us to always do our best. She teaches us to respect each other because we are a team!" ​"Heather can do it all: talent, modeling, pageant prep. Heather helped my daughter prepare her wardrobe, fun-fashion walk, and was the most positive "cheerleader" as we prepared for Nationals. Heather's skills for talent helped my daughter express her inner beauty, and I was completely impressed by her professionalism. She had her dance routine ready, music perfectly edited and done, and wardrobe ideas all sketched out by our first session. Wow - you won't find this type of class and organization anywhere else!" "Heather has been signed with the Talent Group for several years now. Not only is she talented and conscientious, she is an extremely nice person and a joy to represent." "Heather is a wonderful talent. She is energetic and personable as well as having a strong on-camera presence. She works very well with other hosts or can carry a segment alone. Always prepared and professional, Heather is someone I would highly recommend for your next television or video project!" Need an experienced talent for your next Media project? Looking for a Pageant Coach, Modeling, or Dance Instructor? Look no further, my studio is located outside of Pittsburgh, Pennsylvania in North Huntingdon, in close proximity to Monroeville, Murrysville, South Hills, and Fox Chapel.